There are a large number of independent electrical wholesalers in this country which were started by entrepreneurs who had previously managed one or more of the ‘nationals’. 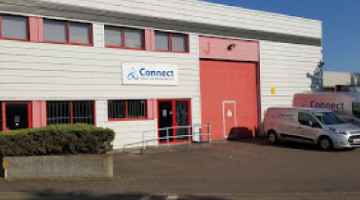 Very few people will have enjoyed the success of Jon Bishop, who has recently started Connect Electrical Wholesale in his home town of Newbury. Jon was an outstanding branch manager – the first in the company to top £½ million sales in one month. He then went on to open a new region and ultimately manage a large country, a post he held for several years. Not only is he an expert in all aspects of electrical wholesaling, he has also installed and helped to develop national computing systems for both Spanish and French multi-location operations. It follows that when he started his own business, the qualities of the computer system, the company supplying and supporting it were of paramount importance to him.